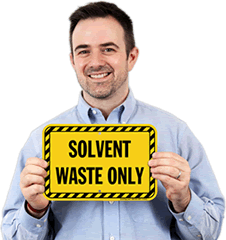 Identify your waste solvents, such as MEK, toluene, naptha, paint thinner and even paint. 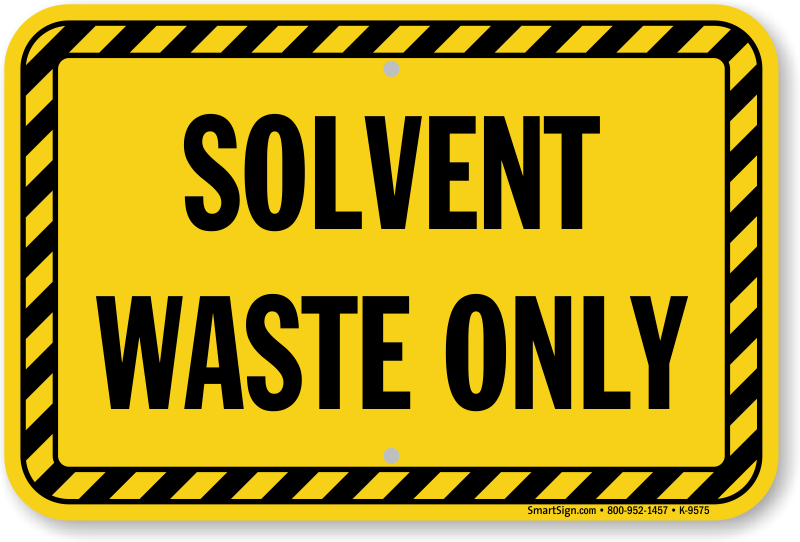 Dumping these solvents (even water-soluable solvents) into the waste water system is frought with problems (fires in traps, damage to pipes and environmental hazards). 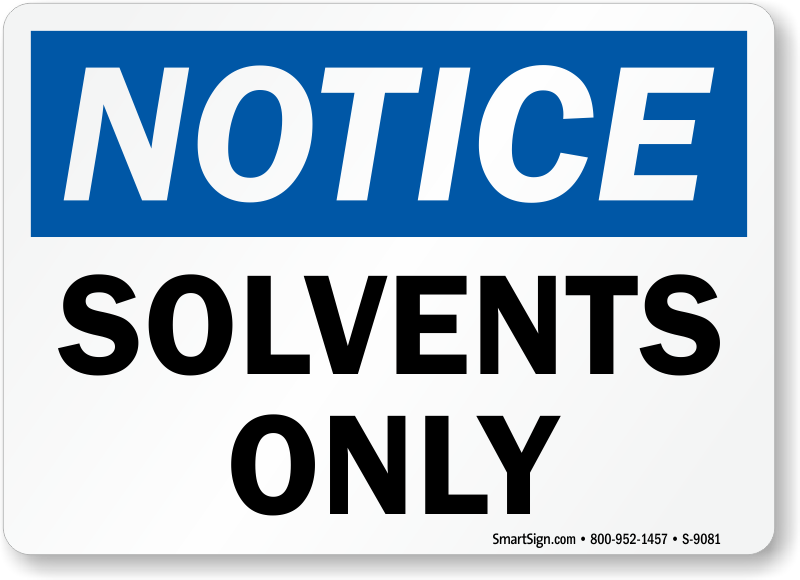 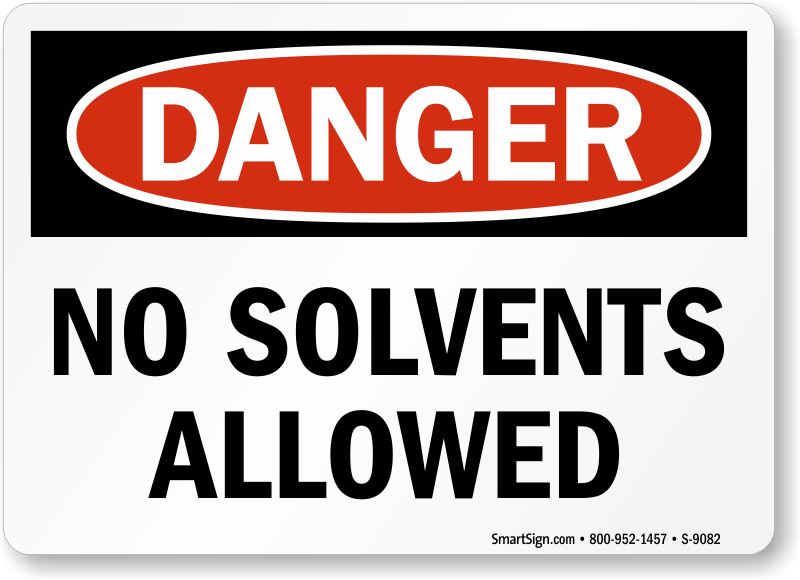 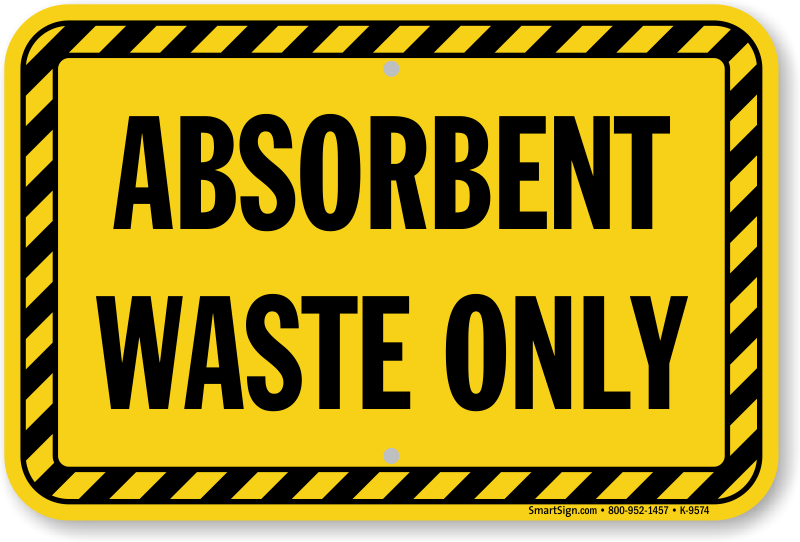 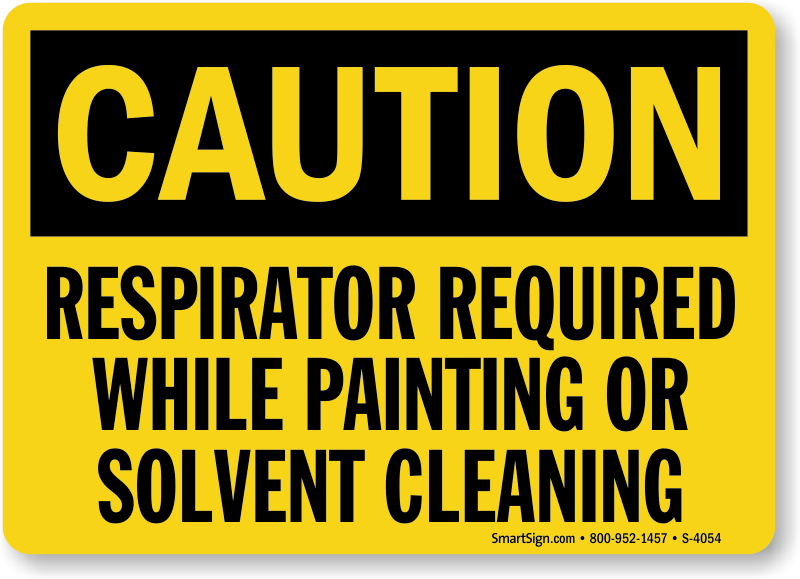 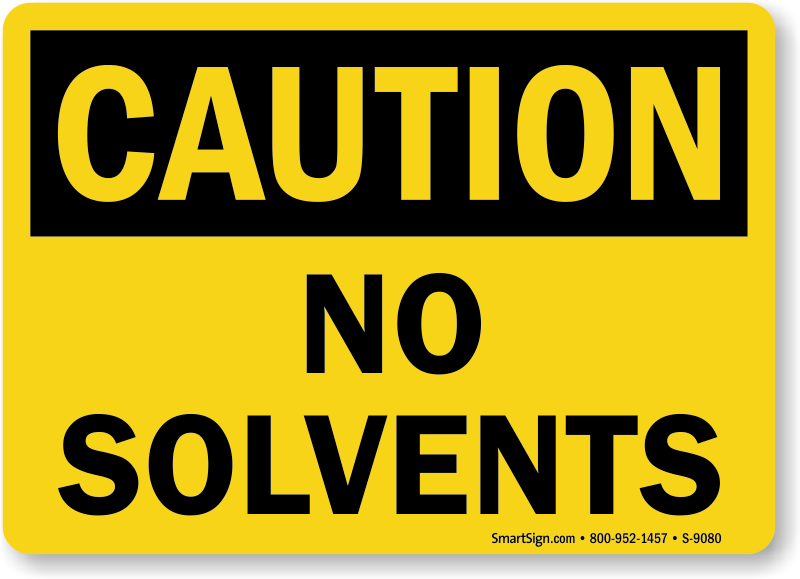 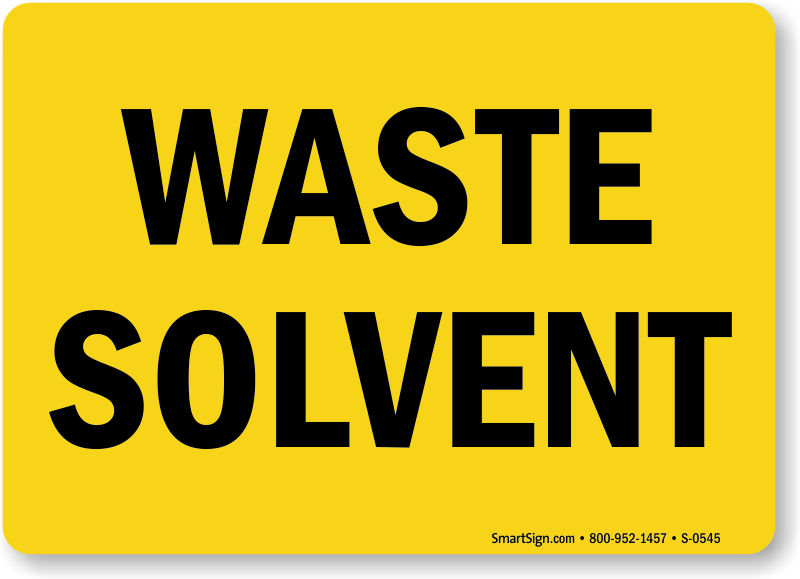 Our solvent warning labels and signs help keep your facility safe from improper disposal of solvents. 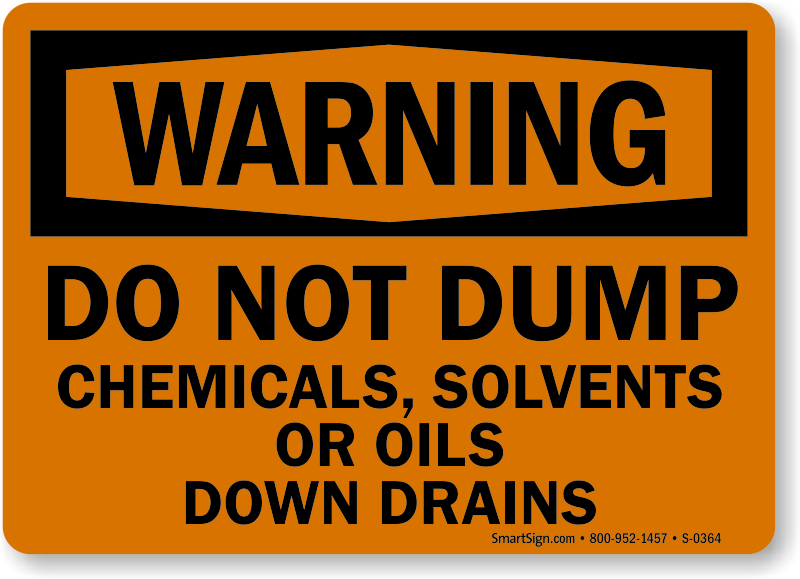 Clearly identify both used and waste oil. 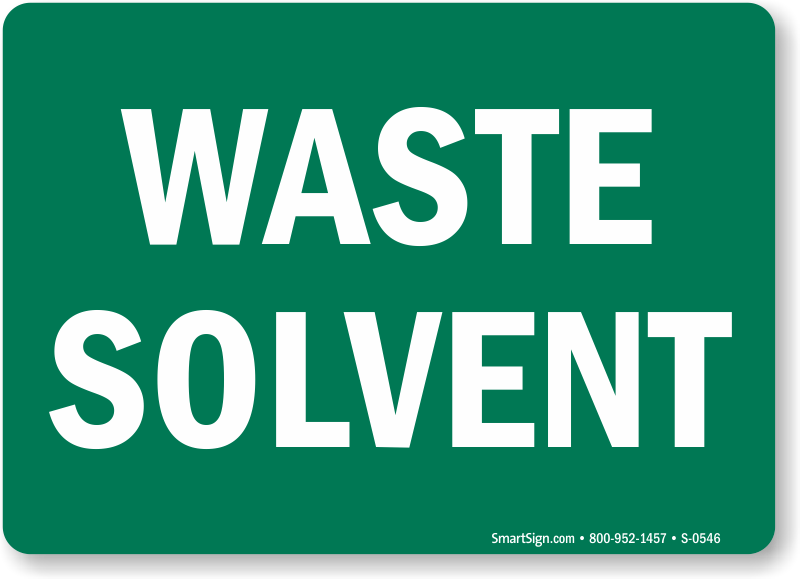 Used oil is increasingly valuable and these labels not only help you save money – but have an important environmental benefit.